The next celebrity to be embroiled in Brangelina’s divorce is Disney actress and singer Selena Gomez. 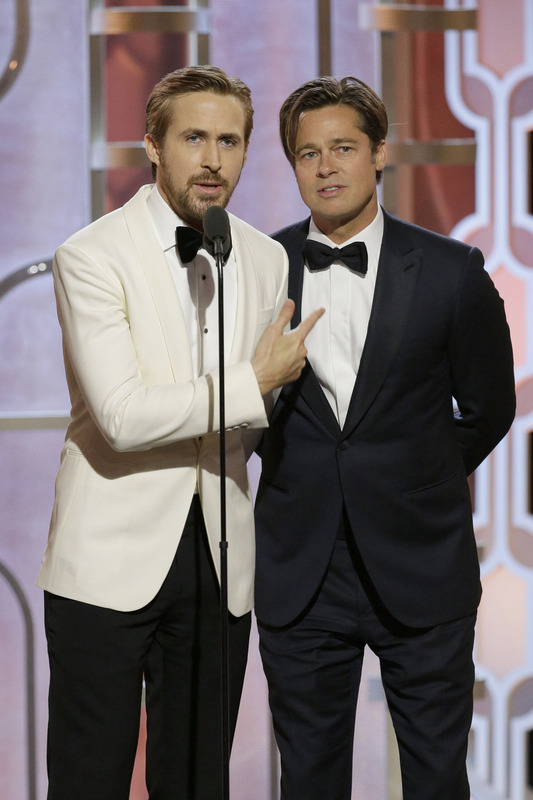 The baby-faced beauty, 24, posted a photo of her and Pitt at this year’s Golden Globes where they were both looking stunning and ‘flirting shamelessly’ with one another. A source revealed to The National Enquirer that the photo made Angelina ‘furious’ when she saw it, and that Jolie asked Brad not to work with the young actress again after The Big Short. Angie blew a gasket when she saw Selena’s Instagram, and heard through friends about how Brad and Selena flirted so shamelessly. Now Selena is bragging to everyone that Brad is gung ho to make another movie with her. Selena is going around jokingly calling Brad ‘my future husband’, and Angie is obviously none too pleased. The Instagram post came after Selena Gomez cheekily told red carpet reporters at the Golden Globes that she thought the Fight Club star was “hot”. 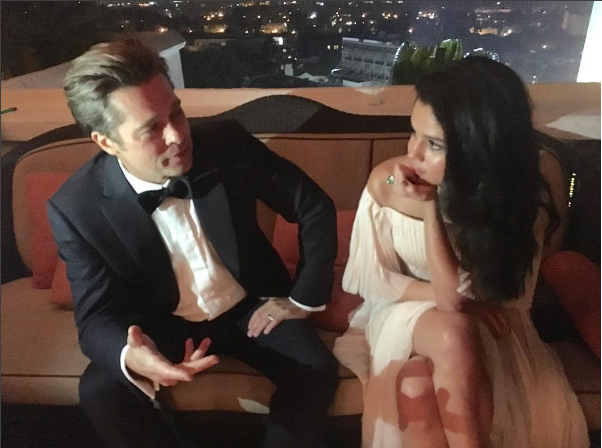 On The Ellen DeGeneres Show back in 2013, Gomez told the tale of how Pitt requested to meet her after the MTV Awards and that she was so nervous she had to hide under a table (not his we hope). She giggled as she told Ellen, ‘he’s very pretty’, gesturing at her face. This news comes after claims that Pitt was unfaithful with co-star Marion Cotillard, after Jolie hired a private investigator to watch him on the set of his latest film Allied. While at the moment the ‘affair’ is just a rumour, Pitt has history for infidelity, infamously leaving his wife Jennifer Aniston for Jolie.